the temperature difference between forehead and ear is too big. 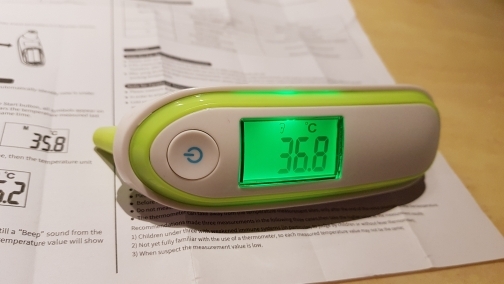 when i double checked my body with own electronic type, the testing of forehead seems to be close for exact body temperature. i checked the ear temperature after pulling ear back and upward enough. i want to recommend it by using forehead test rather than ear testing. when i tested my body several times with own electronic type, forehead test is closer exact temperature. 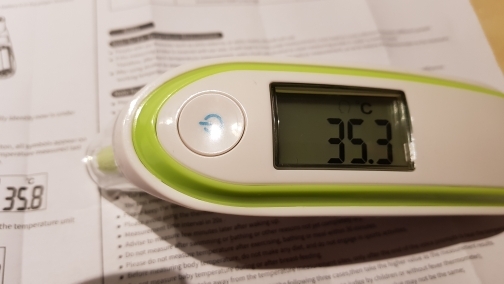 Thermometer is very inaccurate. 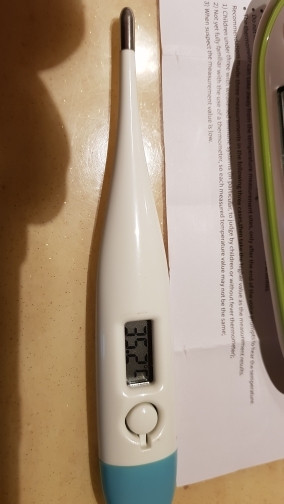 Worked well for 2 days, but since always says temperature "LO". Very disappointing. sorry,dear friend,we will send a new device to you.